Public sector agencies Transport for London (TFL) and the Department for Education (DFE) are setting up major new framework agreements that will bring business into the events industry. Despite the cuts hitting public sector budgets, C&IT has learned that the DFE will announce a new creative services framework at the end of January covering work including conferences and exhibitions. A total of 40 bidders were whittled down to six before face-to-face pitches took place with two final contenders for first-tier supplier status in August 2010. Creative Choice consortium, led by the Live Group, is competing against Serco and The Engine Group. Once the deal is finalised, the winning bidders will run the three-year contract from April 2011. Meanwhile, TFL is now developing its first department-wide framework for events management and consultancy. The work will be split into six lots, which include: low budget; creative/innovative; outdoor events; employee engagement for strategy development; employee engagement for programme delivery; and youth engagement. Between three and five agencies will be appointed for each of the lots, said TFL representative Nike Onakoya, and the value of the work is estimated at up to £750,000. 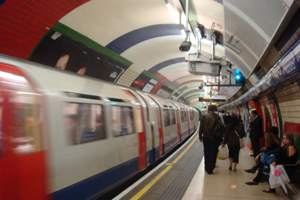 TFL's focus in the current economic climate was to find savings, she explained: "As part of that, we have reviewed our entire approach to events management. On the occasions where we need external support, we will use this framework to secure the best possible value for money."